Before a few years ago, everyone just used office chairs to game. With the increased time sitting in front of your monitor, it is important that you are comfortable as the user. I feel that Ewin Racing is right in the middle of the market space. 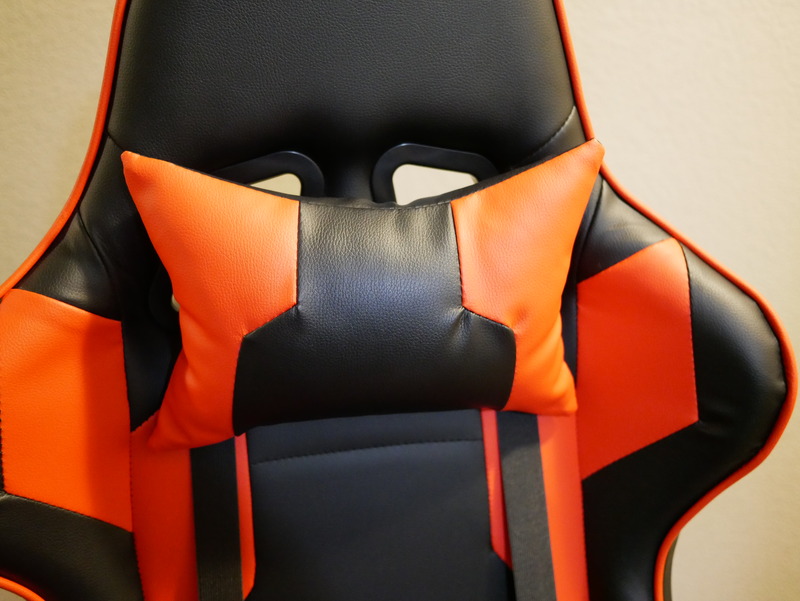 They are not developing the cheapest chairs with just the looks; they are focused on quality without being priced at the top of the market space. 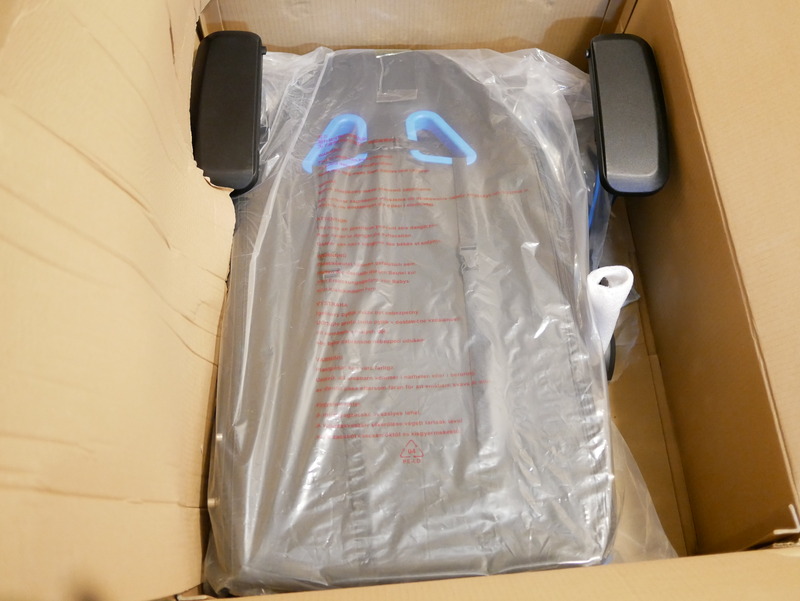 EwinRacing Chair is a newly founded company in 2016 after leading the way in the OEM office chair market. They are pursuing humanism in design and manufacturing great ergonomic gaming chairs. Today we will take a look at chair in their 2nd tier, the Champion series currently $289 ($349 MSRP). 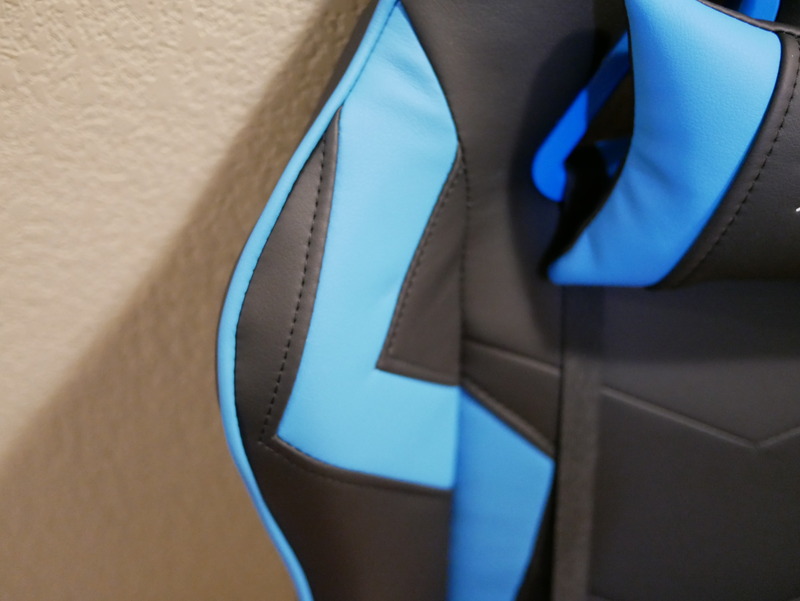 The Black and Blue version of the EwinRacing Champion was sent over for us for review. 4D Adjustable Armrests: Polyurethane surface with Front/Back & Left/Right Sliding functions, Clockwise & Counterclockwise rotation and vertical adjustments. Height Adjustable: Easy to use lever to operate to raise or lower the seat to the desired height. 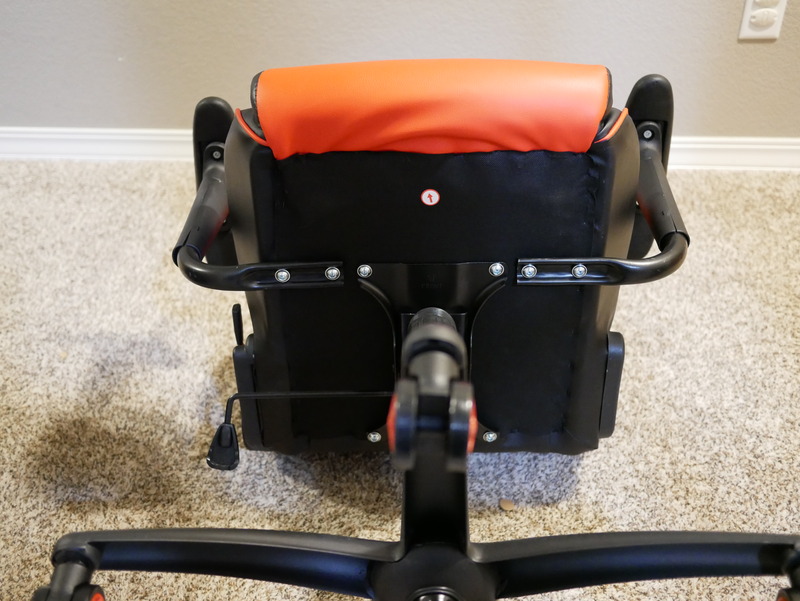 Lever Operated Back Recliner: Easy to use lever to lean the seat backwards to the desired seat angle. Chair allows 85-155-degree adjustment range. Tilt Lock & Tilt Control Mechanism: Easy to use knob to control the Tilt Lock or adjustable Tilt tension. Durable Steel Frame: Strong Steel frame you can feel safe. Cold Molding Foam: High Density memory foam. 120 MM Class-4 Gas Lift: Durable, reliable and supports up to 150kb/330lbs. Aluminum 5-Star Base: High quality strong 5-star base keeps you focused. 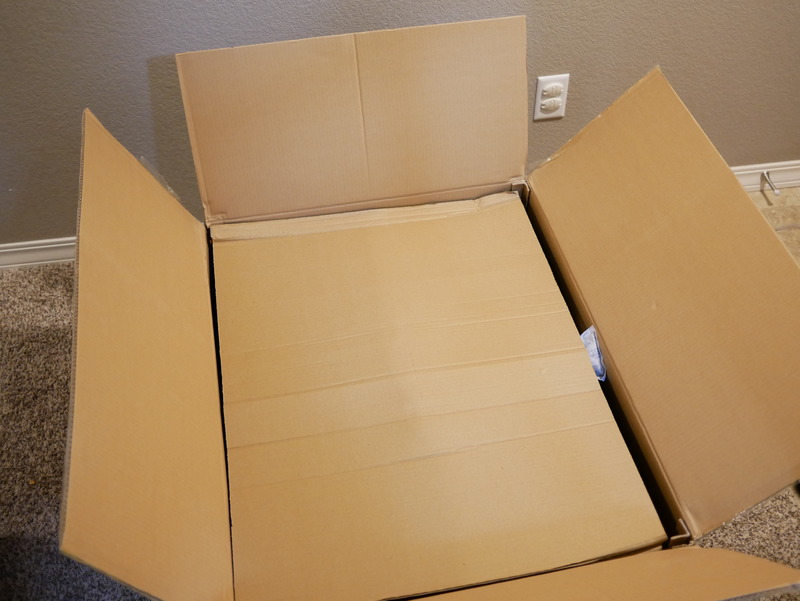 I was not able to fit this on my normal unboxing table because the box is huge and heavy, which is expected of a chair. Taking a look at the outside of the box, you have a picture of the E-Win logo and red color scheme on the brown cardboard. One the sides of the box there are two labels, one is a picture of the chair along with the designated color and the other is a list of some of the specifications of the chair. The top of the box has two logos, one promotes team lifting since the box can be pretty heavy and the other one designates not to cut, or cut too deeply because you might damage the contents inside. 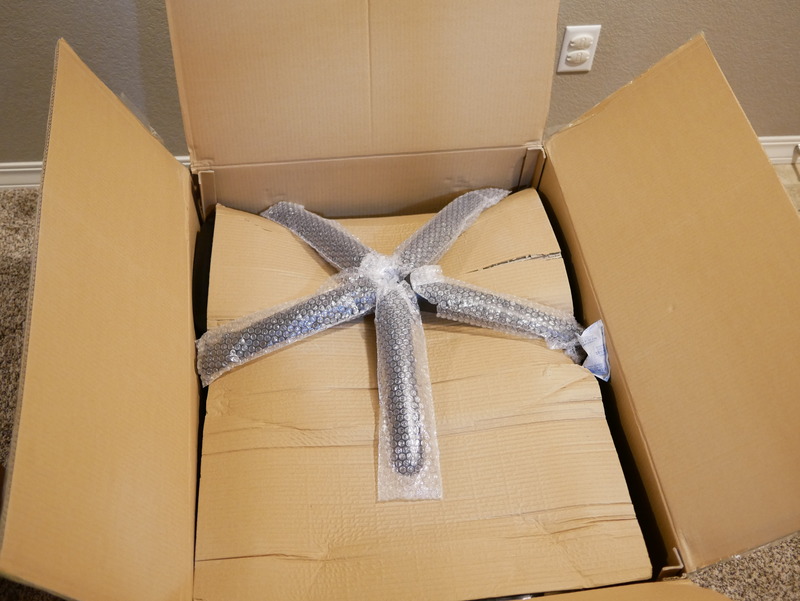 Opening up the box, you are greeted with a cardboard panel to add protection, under that is the 5-star steel base. Under the base is another cardboard panel, once removed displays your chair back positioned between the arm rests and the seat base. 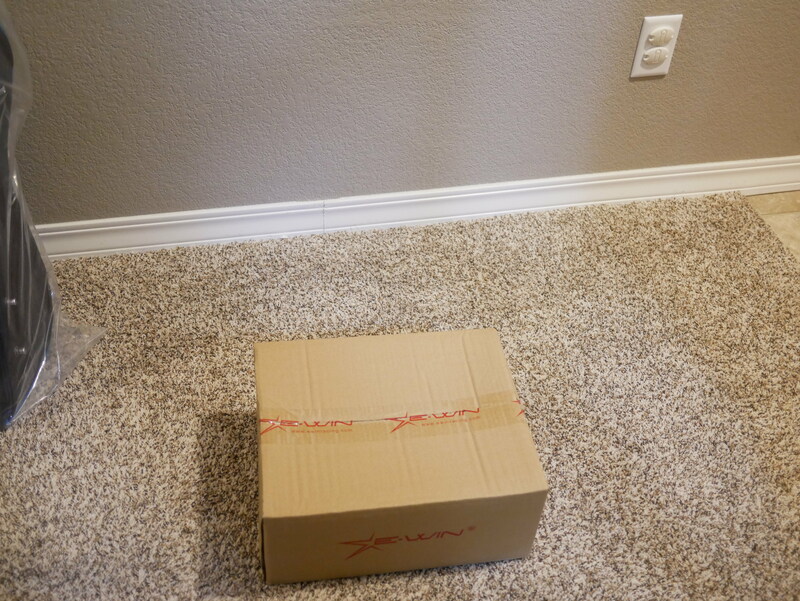 A accessories box can also be found under the chair back. 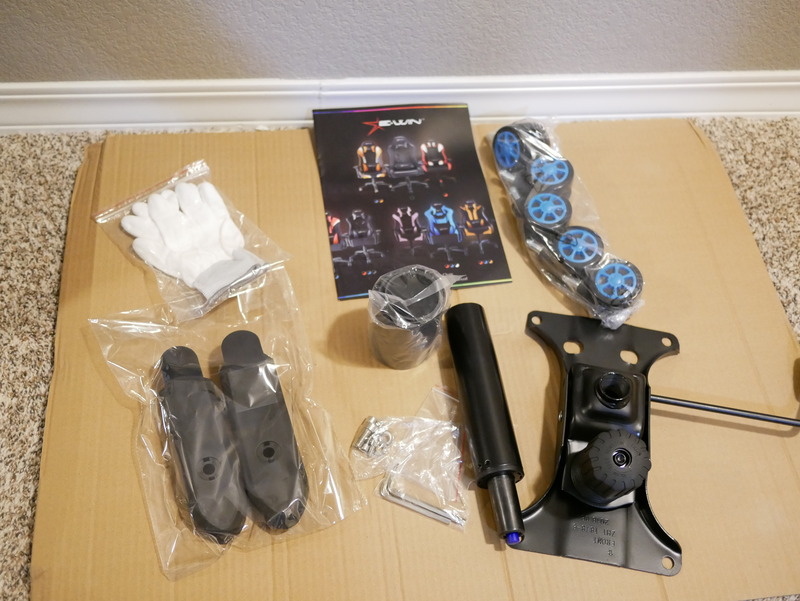 The accessories box is well organized with individualized bags to separate contents, tools for assembly, trim pieces and finally the tilt mechanism. 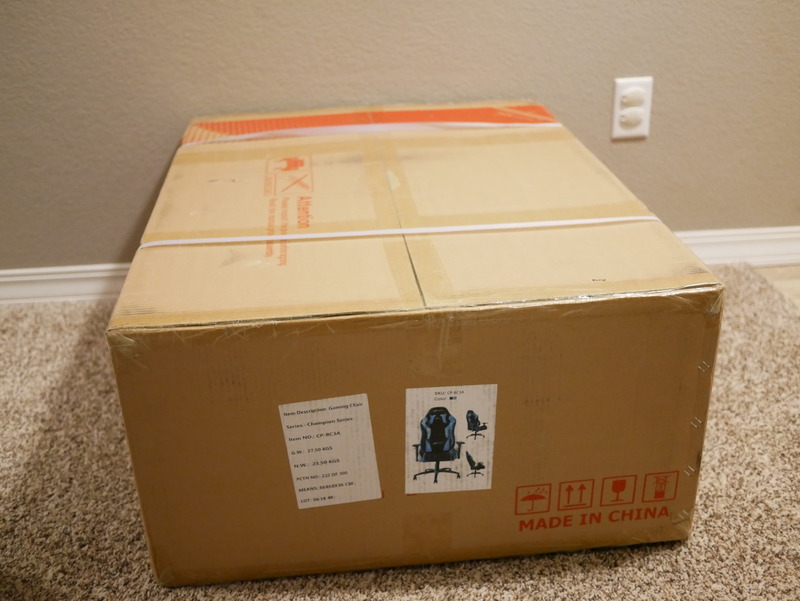 Looking into build quality I will compare the Ewin Champion with my Amazon purchased Homall Executive Swivel Leather Chair. 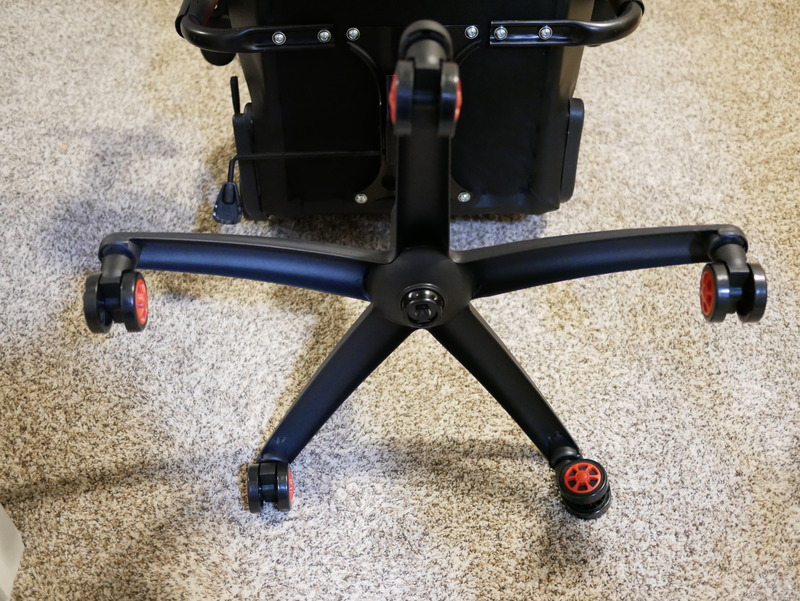 Starting at the bottom of the chair, I believe that the casters and 5-star base come from the same manufacture because they look and feel exactly the same. This isn’t a bad thing at all because they are sturdy and strong materials. 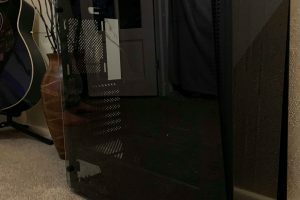 Moving up to the Gas Lift, the lifts look the same, but the Ewin’s actuates smoother. There is not much else to compare unless the lifts are disassembled. Next to examine is the Tilt Lock/Tilt Swivel mechanism and mount. 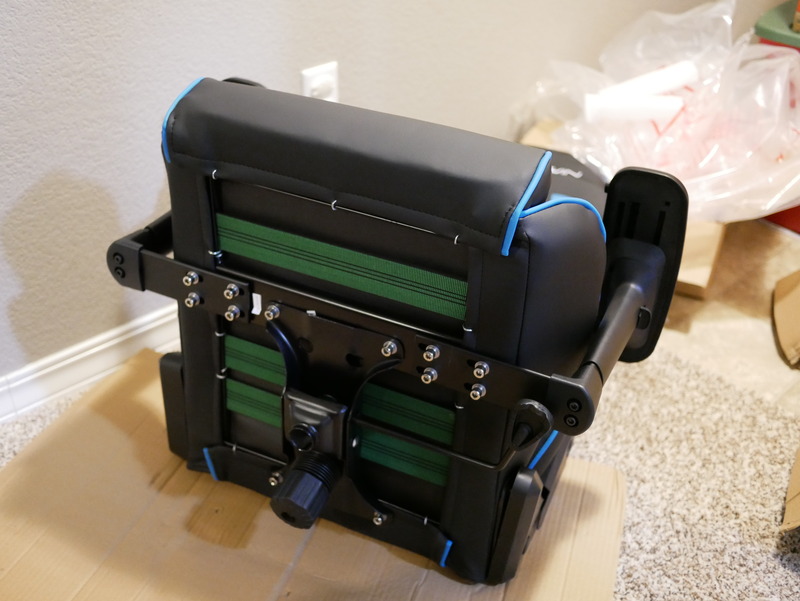 The mount of the Ewin’s is a thicker steel contributing to the sturdiness of the chair. The tensioner knobs look similar, but the Ewin’s looks more premium and is clearer to ready the direction of either lose or tighter tension. 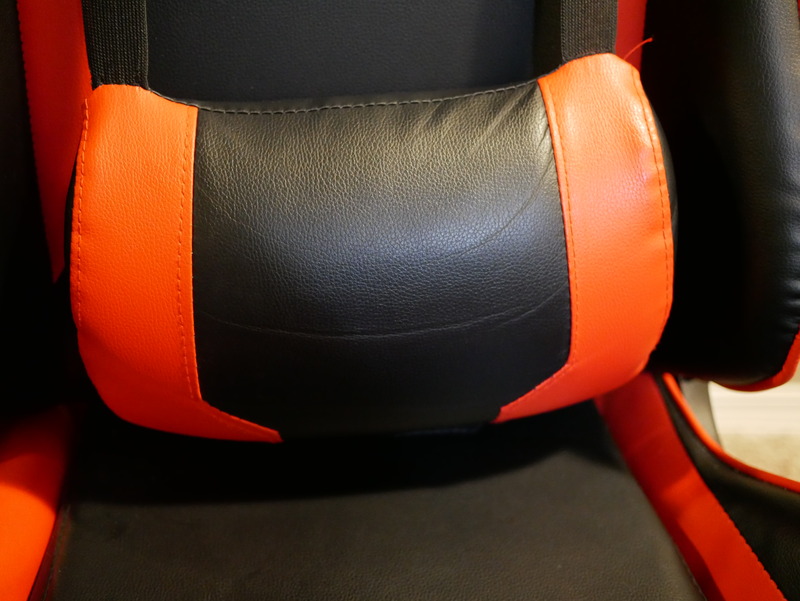 Moving on to the chair base, the Homall base bottom looks plain with a piece of fabric spanning the bottom of the chair to keep the padding inside and also connect the Vinyl pieces together. like a piece of fiberboard screwed into a frame to keep the padding inside the chair. 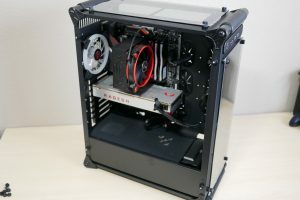 The tilt mechanism is attached with 4 screws in the same places as the Ewin Chair and the Arm rests are mounted to the bottom of the chair with two screws. The armrests are also mounted with flattened steel tubing. 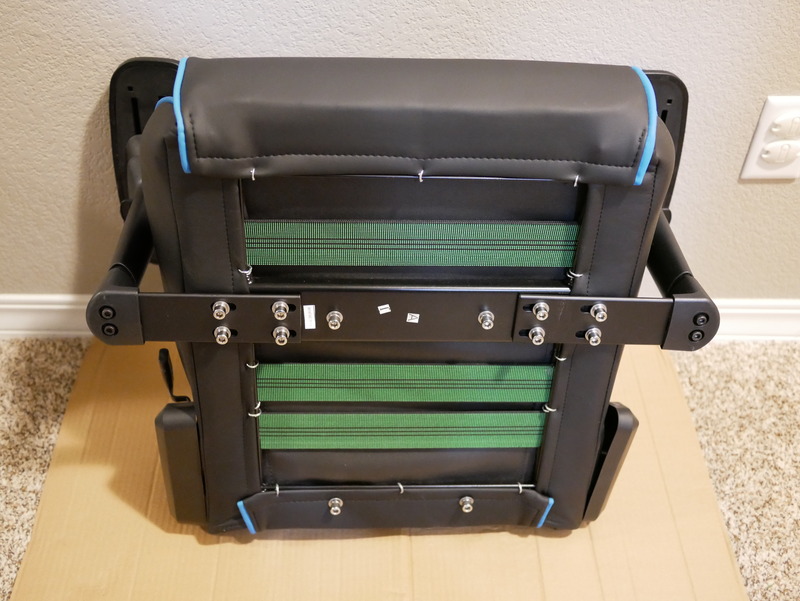 The Ewin base has fabric extended all the way under the chair and secured. The armrests are secured to the frame of the chair with 4 screws and increases the sturdiness. There are also seems to be three elastic bands that help keep tension on the material so that it keeps its shape and secured to the chair. Moving up to the Chair backs. Both the Homall and Ewin backs look very similar but there are clear differences once you look closer. Starting off with the back pillow and neck pillow, the Homall ones feel like they are filled with stuffing material. 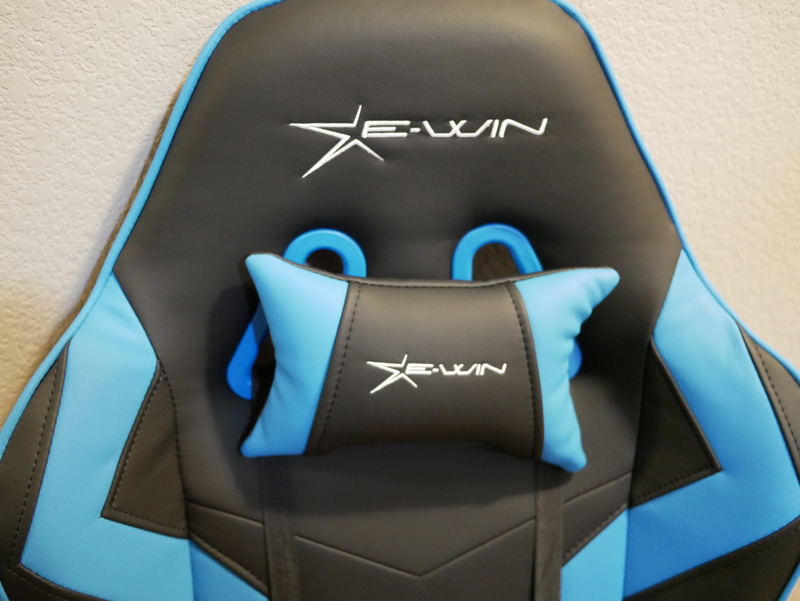 The Ewin’s pillows are filled with memory foam and are comfortable. All four pillows are secured in the same manner. Looking closer at the stitching of the Homall, there seems to be a lot of space in between each stitch. 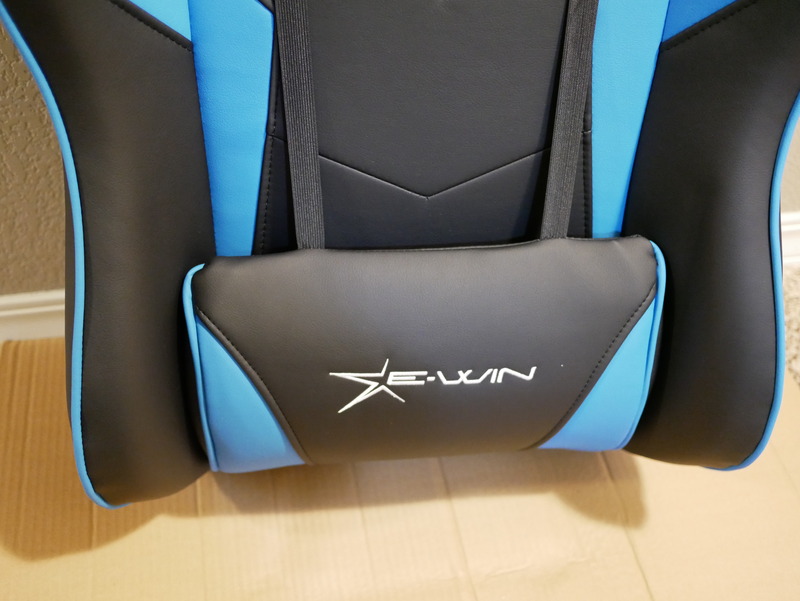 The Ewin’s stitching is close and very prominent. 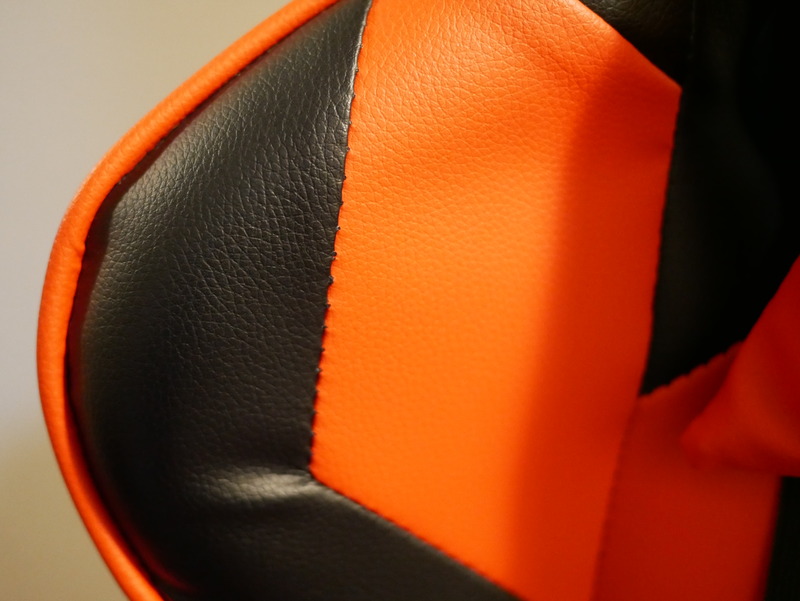 When comparing the design and material of the polyurethane leather that covers the outer surfaces of the chairs, both feel similar, but the Ewin definitely has more style in the design and stitching. 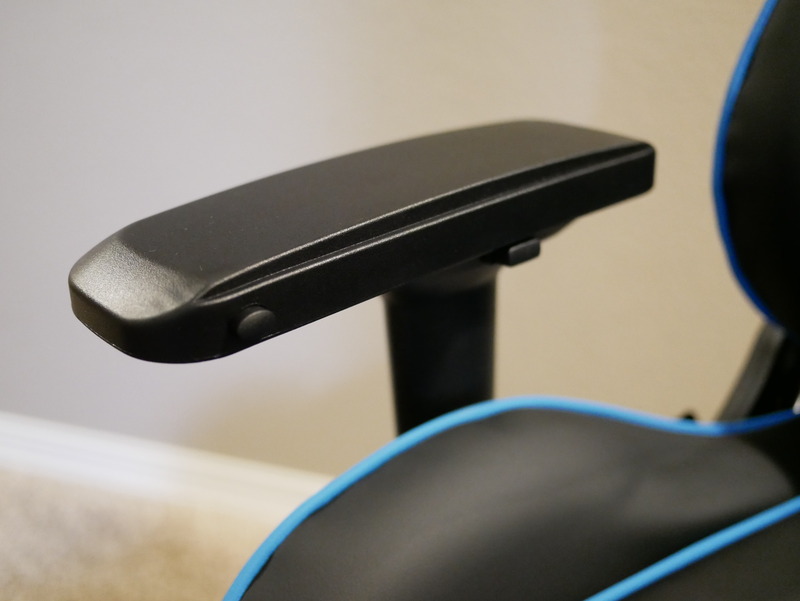 Lastly, the armrests of the Homall are thin pieces of plastic, compared to the wider armrests of the Ewin chair with the 4D adjustment. 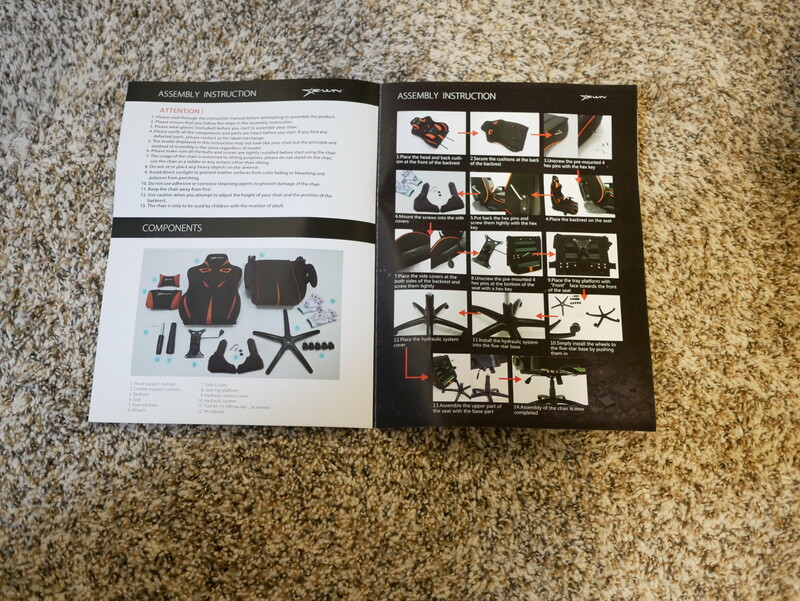 Installation of the chair is exactly the same if you have assembled any other gaming chair. The included color picture instructions make the process a breeze. First you install the casters in the base and then add the gas lift. Next, you install the chair back to the chair base. This is followed by installing the armrests and the Tilt mechanism. Lastly, you install the chair base on to the gas lift and the base. The process was definitely made easier by the individually bagged tools and screws. The screws and washers provided to assemble the chair also seemed more premium compared to the ones provided with the Homall chair. Testing the Chair in the normal use cases. 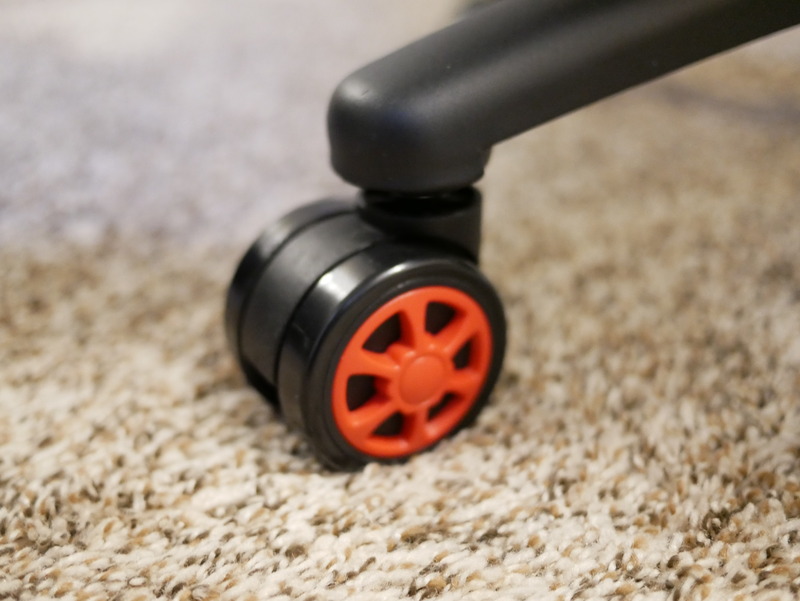 The casters roll around on any surfaces from carpet to hard floor with ease. The armrests have a great amount of adjustment to position them right where you need them. 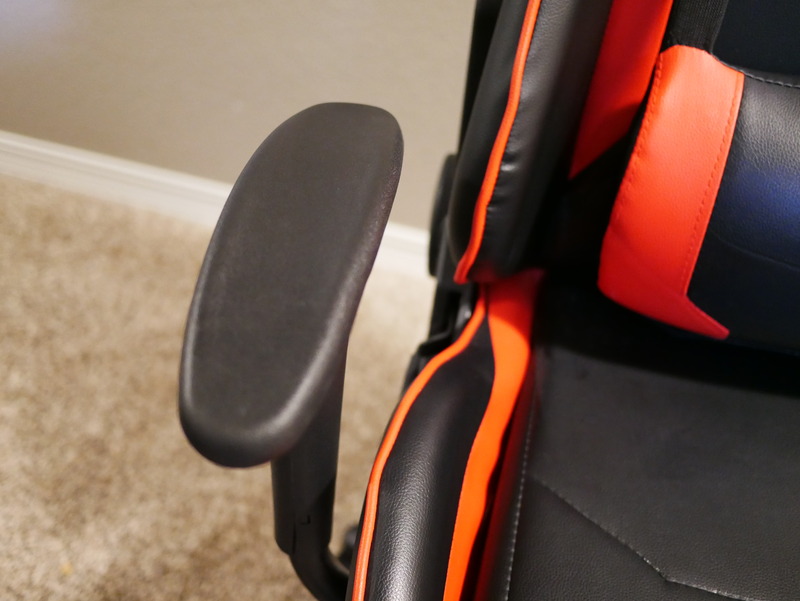 The chair back tilt has a great range allowing you to put your chair back in the right place for your comfort. The gas lift had no issues during either the raising or lowering operation. The Tilt Lock/Tilt Tension mechanism was easy to use and adjust the tension to my liking without any difficulty. Overall, the chair functions in all the normal use cases without any issues or difficulty. 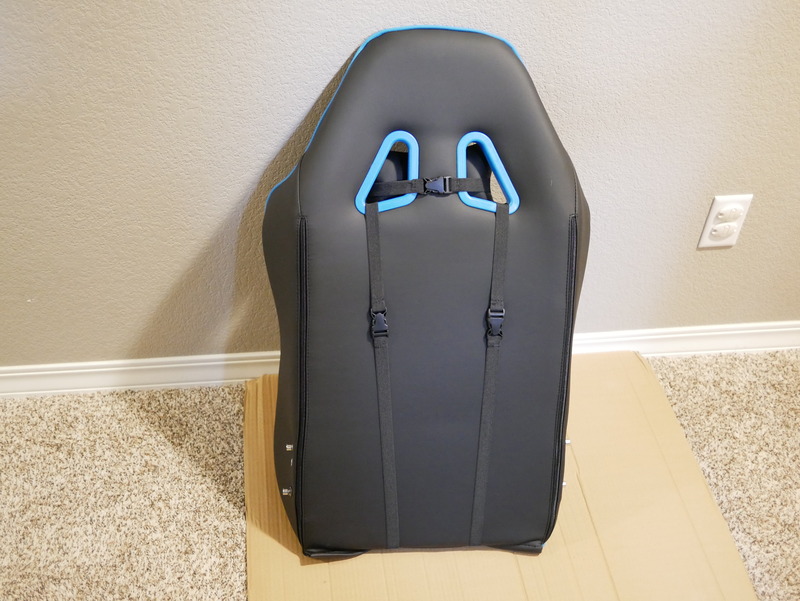 After using this EwinRacing Champion chair for few days, I feel more confident and comfortable sitting for long periods of time in front my computer. 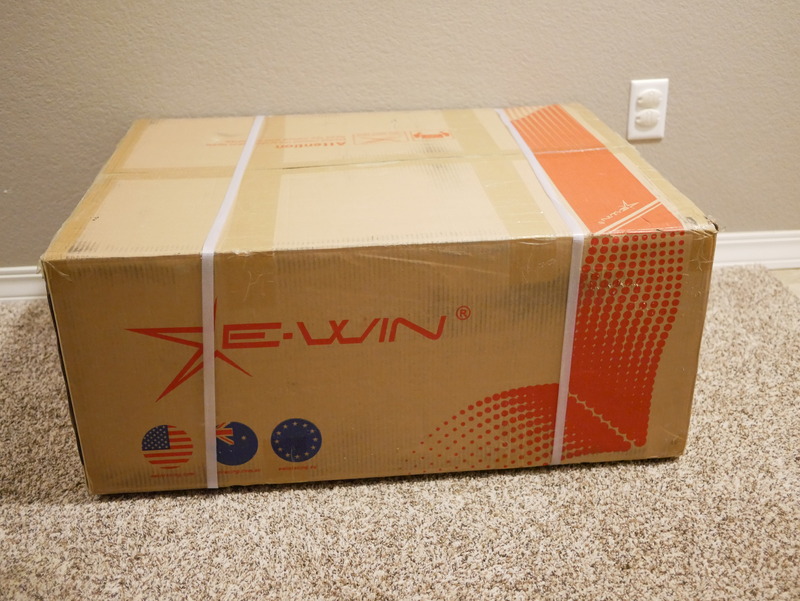 While a lot heavier than my previous gaming chair, you can definitely feel the quality that Ewin brings to the table. With premium materials such has Polyurethane Armrests to memory foam in the pillows, back and seat of the chair, this chair is a joy to sit in. 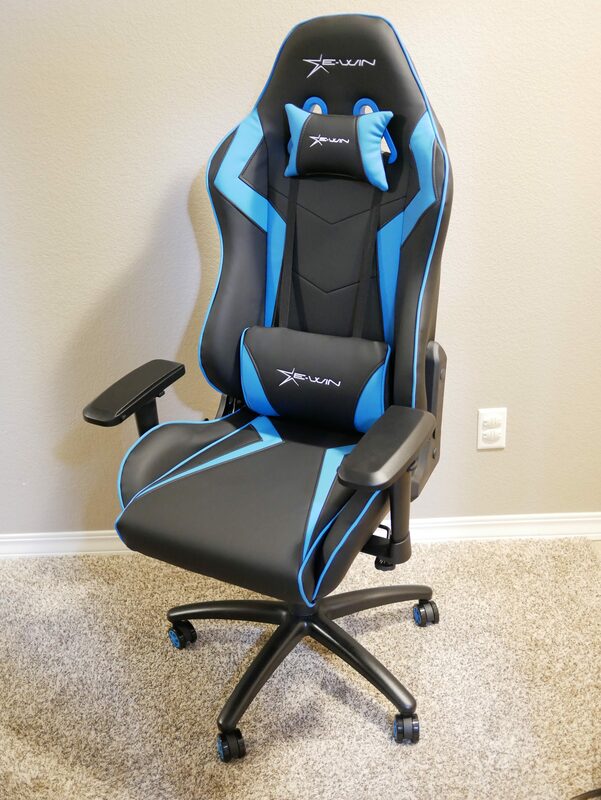 Bottom Line Overall, the EwinRacing Champion Gaming Chair is the perfect piece of furniture to add to your gaming setup if you want comfort without breaking the bank. 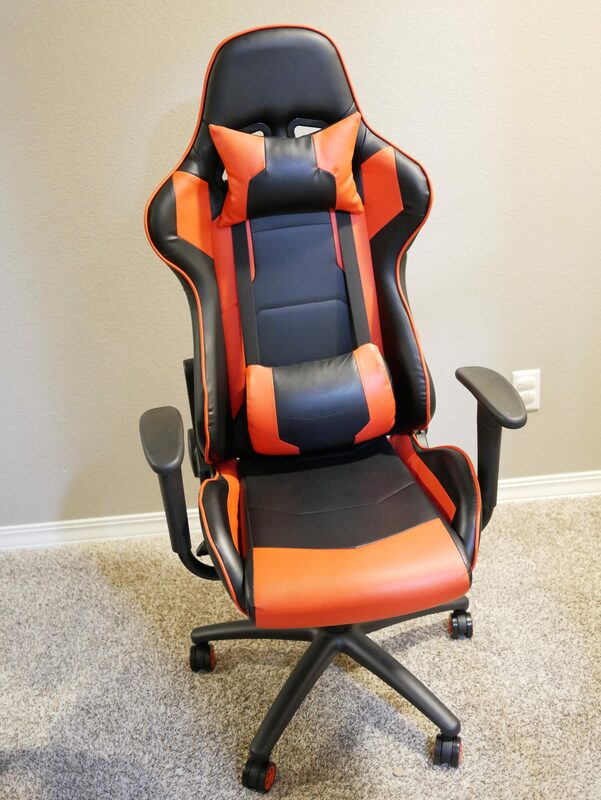 The Premium materials and construction of the gaming chair make it well worth it to spend a little more money if your shopping for a new chair. Thank you for this detailed review and all the pictures. 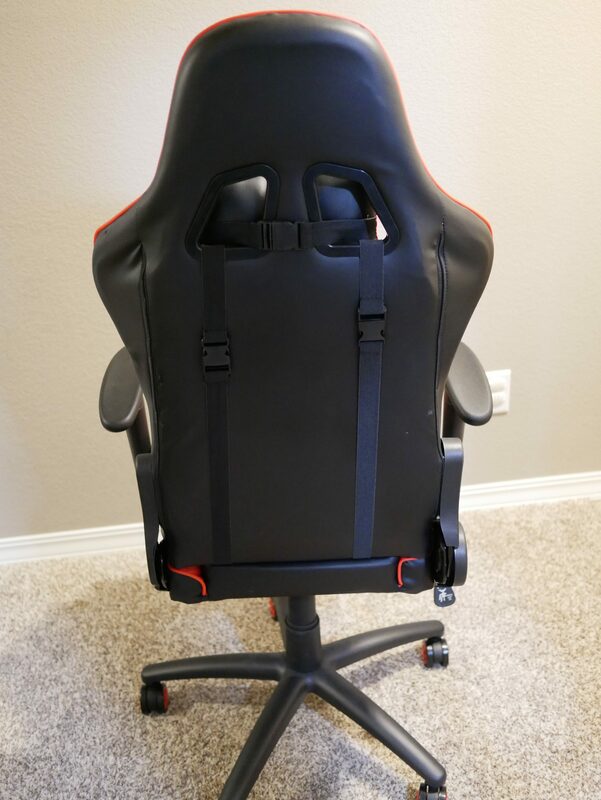 I have a “gaming chair” (dx racer) and currently trying to help a friend to find a good one for himself.